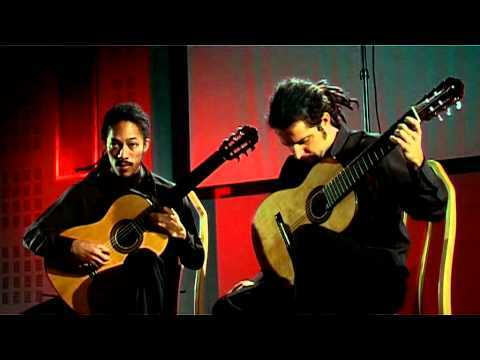 Brasil Guitar Duo, a 2006 winner of the Concert Artists Guild International Competition, and hailed by Classical Guitar magazine for its “maturity of musicianship and technical virtuosity,” is equally at home on a classical or a world-music series or performing a concerto with orchestra. 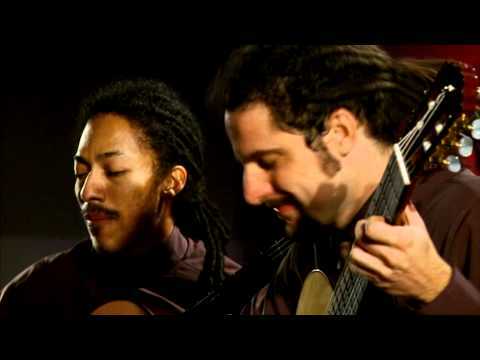 João Luiz and Douglas Lora met in São Paulo as teenage guitar students and their successful partnership of over twenty years results from their innovative programming— which features a seamless blend of traditional and Brazilian works—leading to a busy global touring schedule and a growing catalogue of critically acclaimed recordings. Eager advocates for both traditional and new concerti for two guitars and orchestra, the Duo premiered a Concerto for Two Guitars and Orchestra by Brazilian composer Paulo Bellinati with the São Paulo Symphony Orchestra in June 2012, under the direction of Giancarlo Guerrero, and gave the work its U.S. premiere in April 2013. In February 2016, they recorded the Bellinati concerto along with Leo Brouwer’s concerto Book of Signs with the Delaware Symphony Orchestra and conductor David Amado, and that Naxos CD—also entitled Book of Signs—was nominated for a 2018 Latin Grammy award for Best Classical Album. Additional career concerto highlights include the Dallas Symphony, Houston Symphony, Dayton Philharmonic, Lancaster (OH) Symphony, plus, the Duo has appeared internationally on major concert series and at festivals in Cuba, Germany, England, Canada, South Korea, Colombia, Brazil, Austria, Panama, Poland, and Bermuda. Very active in the recording studio, the Duo’s latest release is Ghosting, (CAG Records; July 2017), featuring their unique mixture of both classical and Brazilian music, including their own compositions and the title track written for them by guitar master David Leisner. 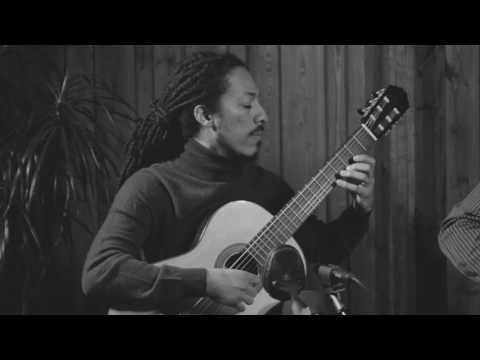 This recording is very similar in spirit to the Duo’s first CAG Records CD, Bom Partido (2007), featuring all Brazilian repertoire that prompted Classical Guitar to write: “The maturity of musicianship and technical virtuosity displayed on this debut recording by João Luiz and Douglas Lora is simply outstanding…The original compositions by Lora comfortably stand alongside the ‘big names’ on the rest of the programme and are well crafted and very appealing.” Next came two critically acclaimed CDs containing the complete works for two guitars by Mario Castelnuovo-Tedesco, released by Naxos in 2008-09. The Duo has also won praise for its recent CD (Avie) in collaboration with flutist Marina Piccinini featuring all of J.S. 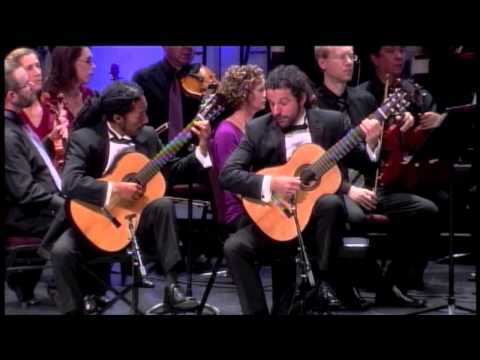 Bach’s flute sonatas, as arranged by the Duo for flute and two guitars. ...these gifted, unaffected and hard working young men have transmuted their huge energy and synergies into a mature and masterly performing presence."